If you work from home, understanding and calculating the expenses you claim can be a murky area. 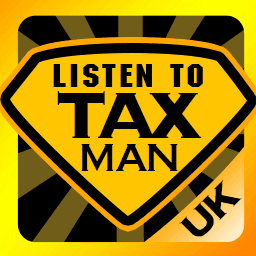 Guidelines and examples are given by HMRC, but these examples do not cover every scenario. Below we cover two ways you can calculate your expenses and we also include a few expenses that you may not be aware of. The ‘simplified method’ is the easiest and quickest way to calculate your expenses and this method allows you to claim a flat rate for using your home as a workspace. However, using this method could mean that you miss out on taking advantage of all your tax relief. The second way is calculating the percentage of how often you work at home, by how many rooms you may use and applying this percentage across applicable bills. To do this you need to understand the average % of usage of your home. This calculation does sound difficult, but once you have calculated your first expense, you will be able to use the same percentages across all other expenses you claim. How many rooms do you have in your house? Do not count halls, pantries or small WCs. How many rooms do you work in and for how long - as a percentage for the day? So, the yearly gas expense in the example is £52.50. Now you need to calculate this percentage across each of your expenses. Stationery – don’t forget to claim back your business related stationery expenses and these include paper, pens, business cards, envelopes, pencils and staples. Printer toner and ink - you can claim back a proportion of the cost of toner or ink used for business documents you print. You will need to understand the percentage of business usage and apply this across the cost of the consumable – make sure you keep your receipts. Property repairs – if you need to make a repair to your property, then you can claim this back as an expense using the DIY expense calculation above if the repair effects the area of the house you use for working from home. If the repair only effects the area you work in and let’s say you work in this area 60% of the time, then you can claim 60% of the overall repair bill. You will not be able to claim any of the costs if the repair does not include an area of your property that you work in. This article was published in our News section on 14/12/2017.